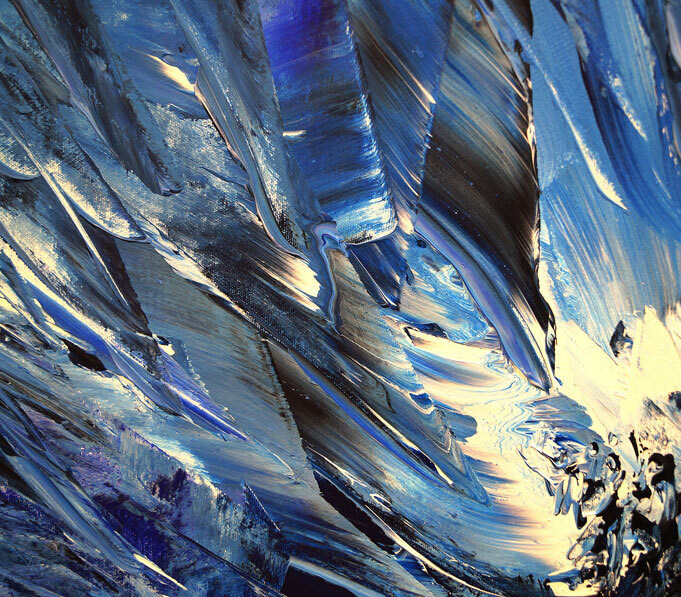 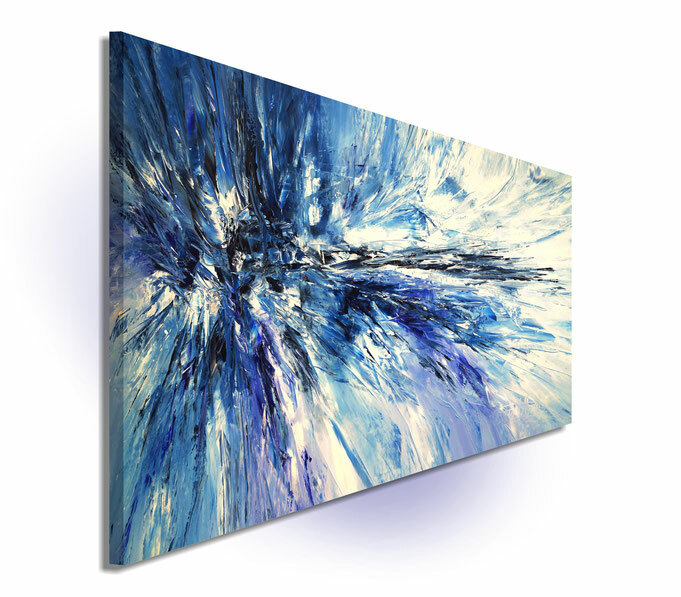 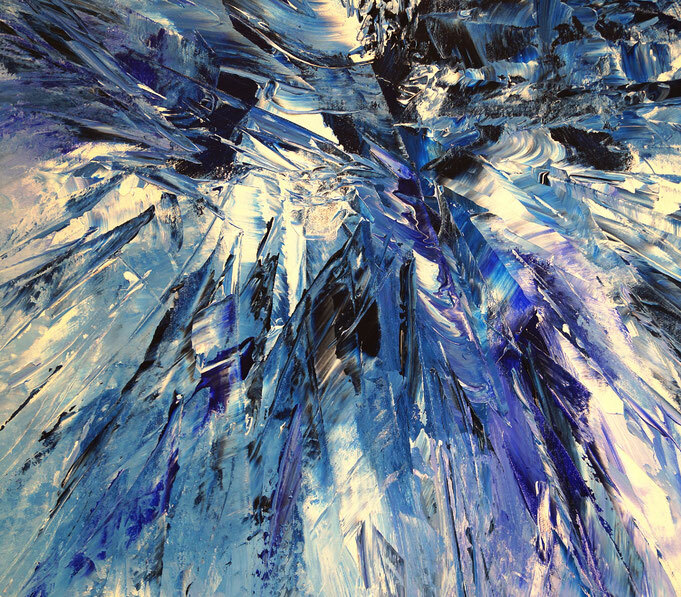 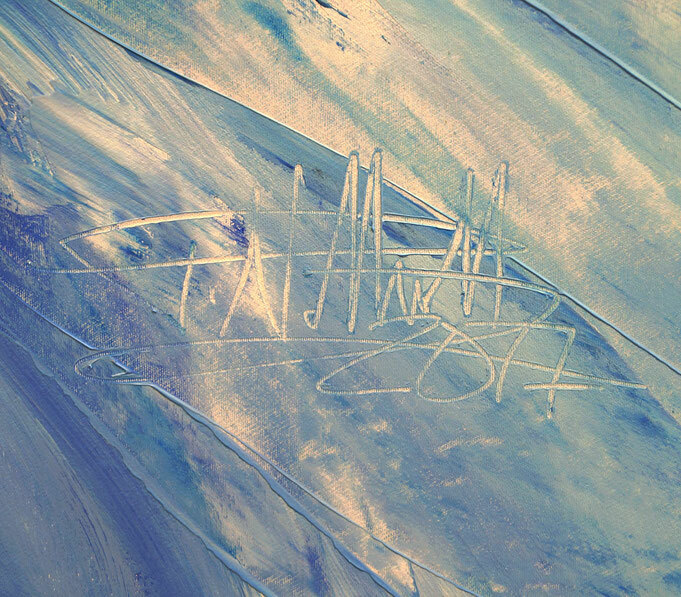 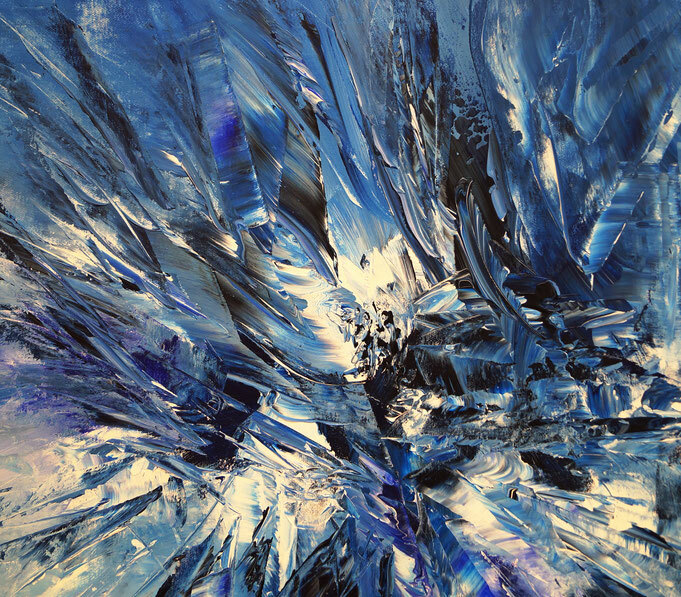 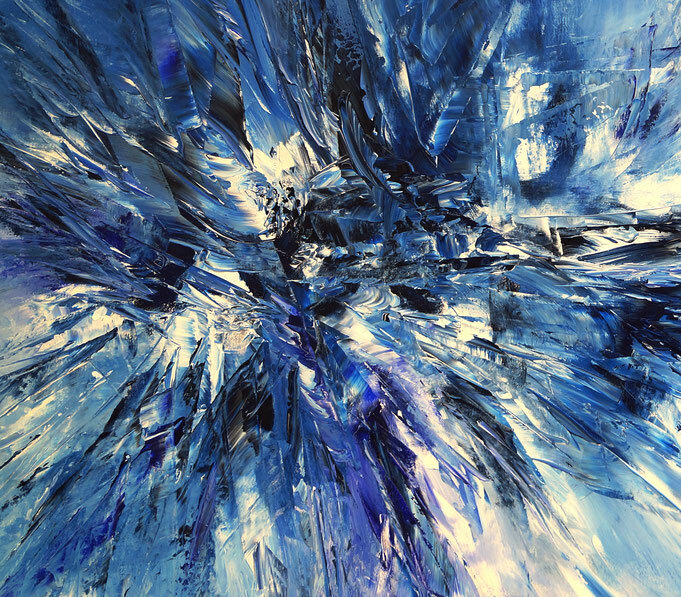 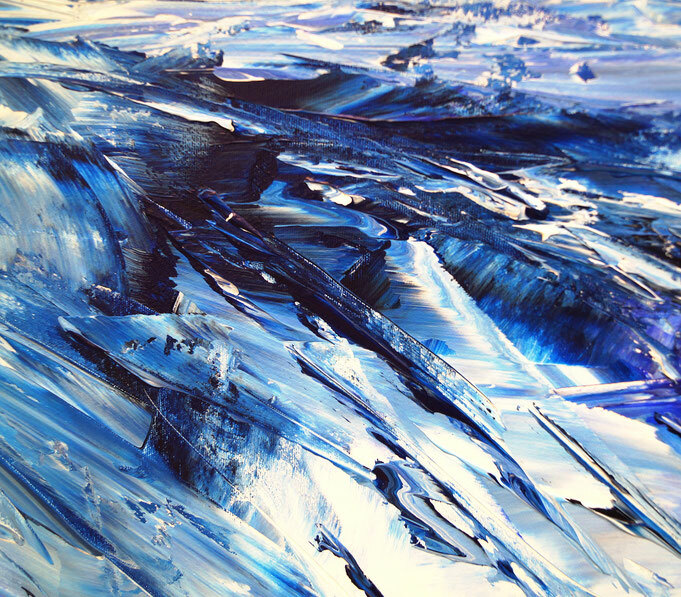 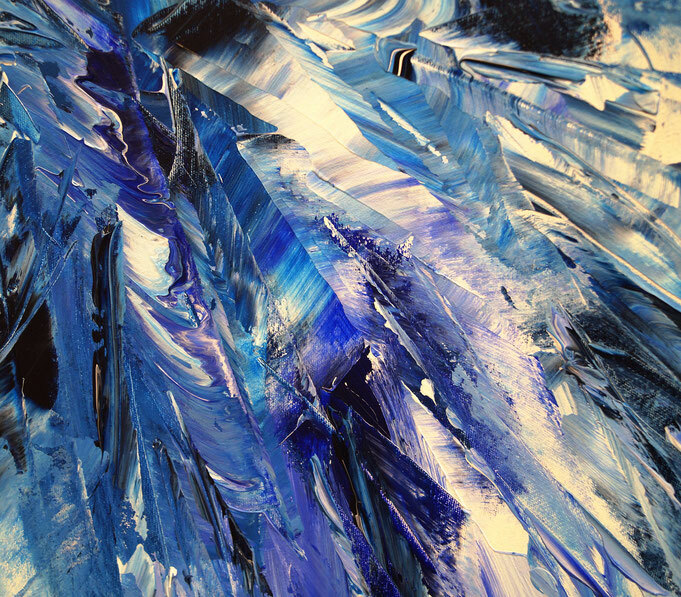 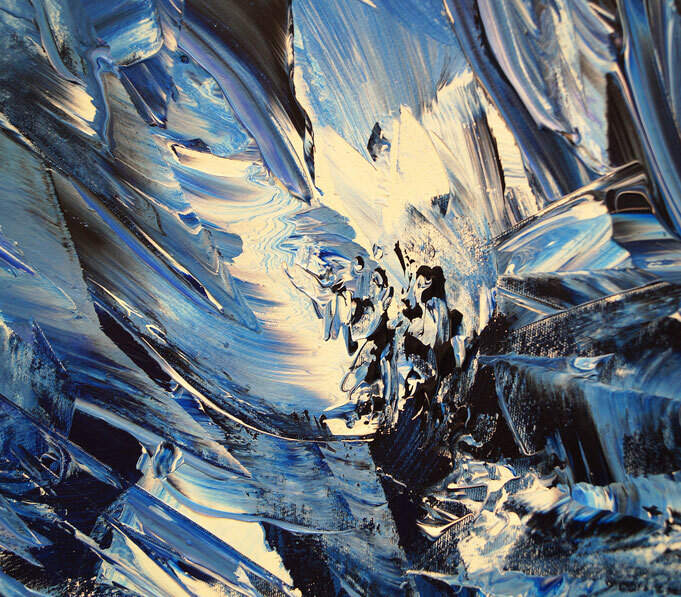 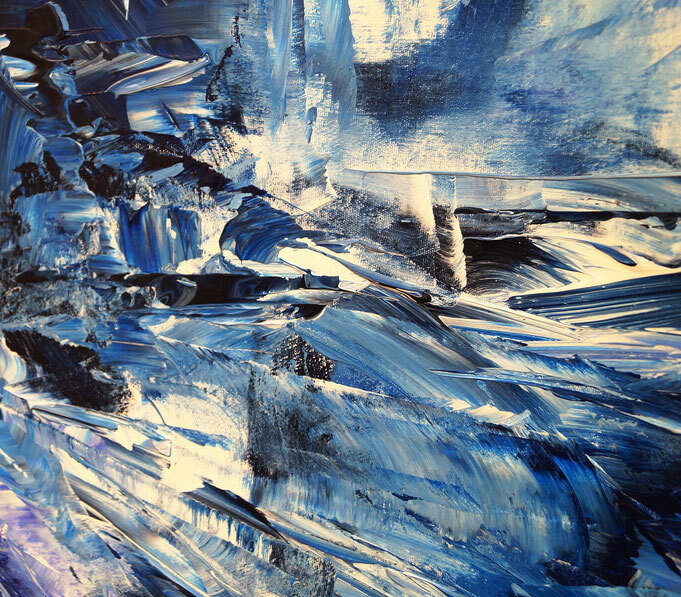 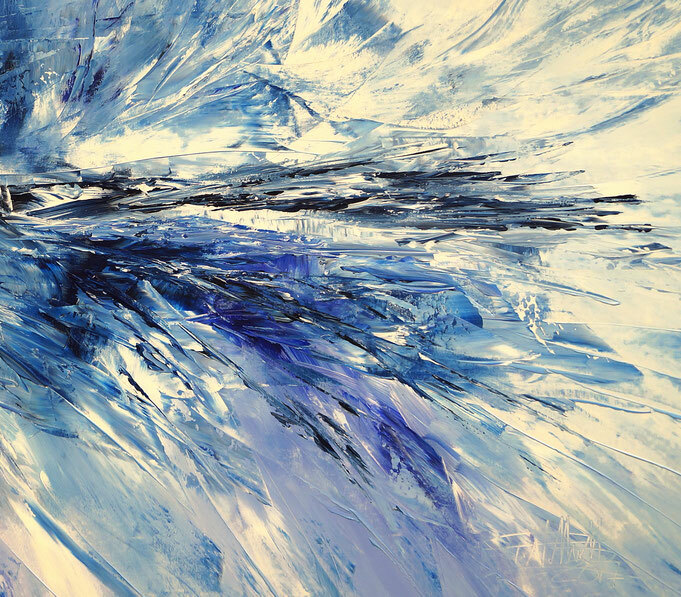 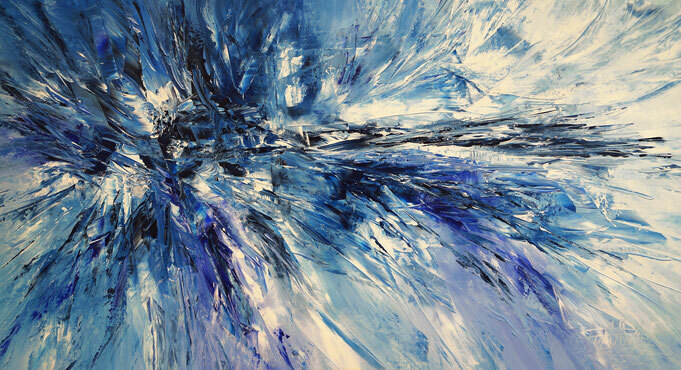 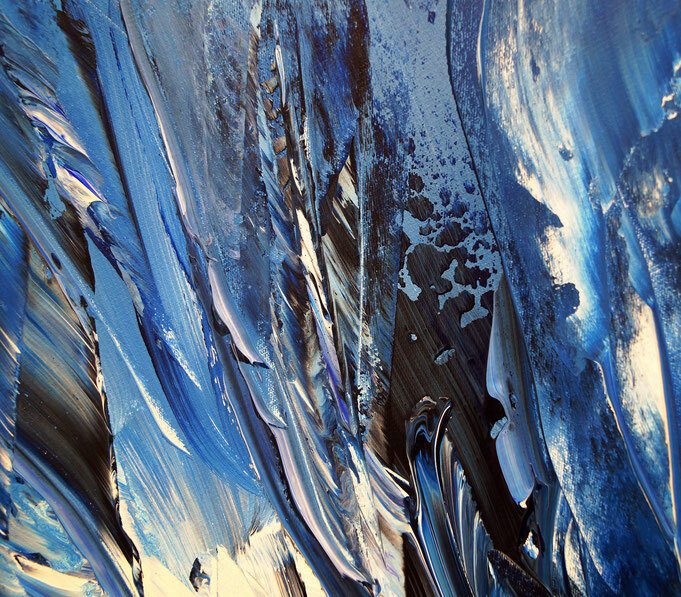 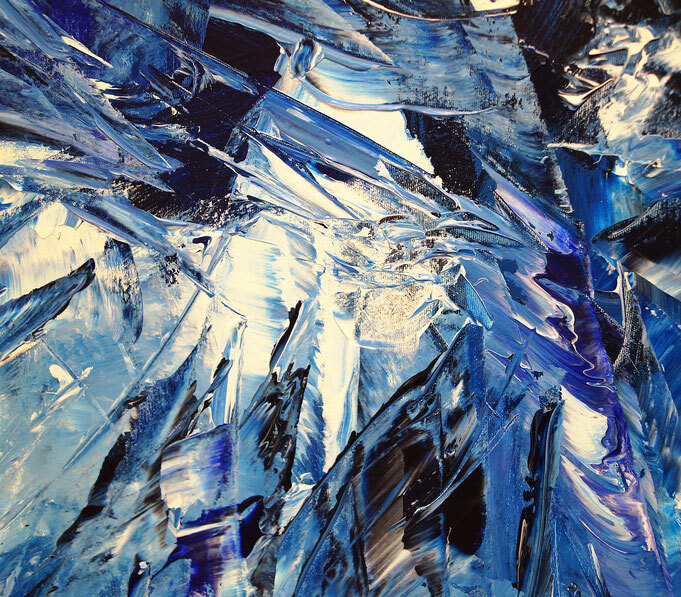 A vibrant abstract painting in white and blue shades. 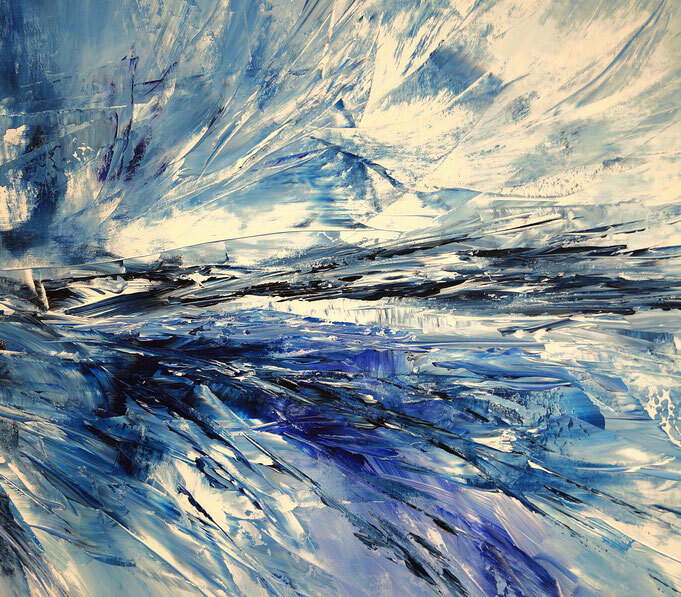 Bright and dark shades in blue and white seem to play together. 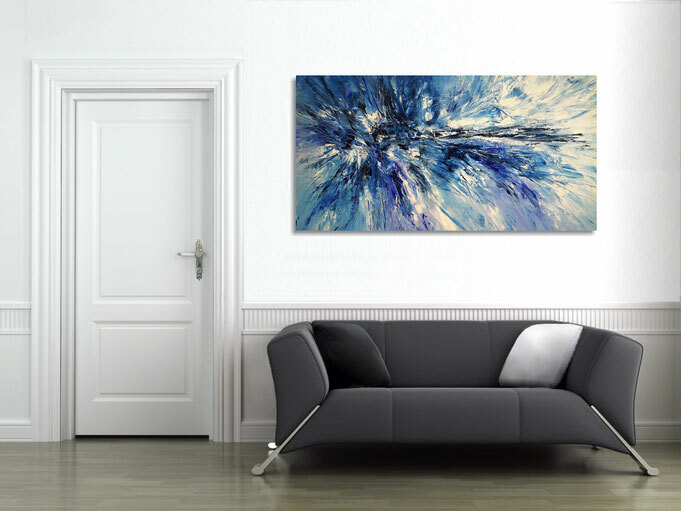 you may enjoy Magical Blue L1 and Deep Cyan Blue XL1, too.